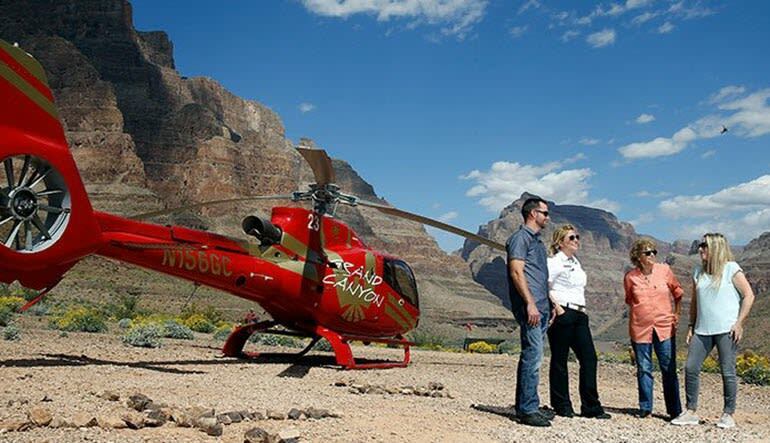 See the wonder of the Grand Canyon as the sun begins to set on this tour from Las Vegas! 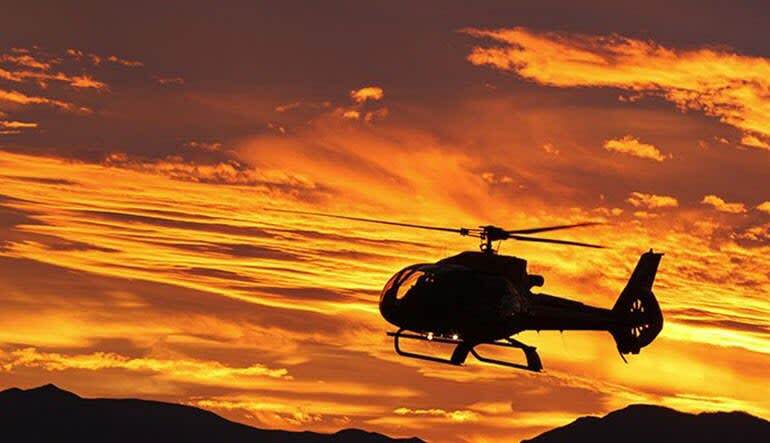 See the wonder of the Grand Canyon as the sun begins to set. 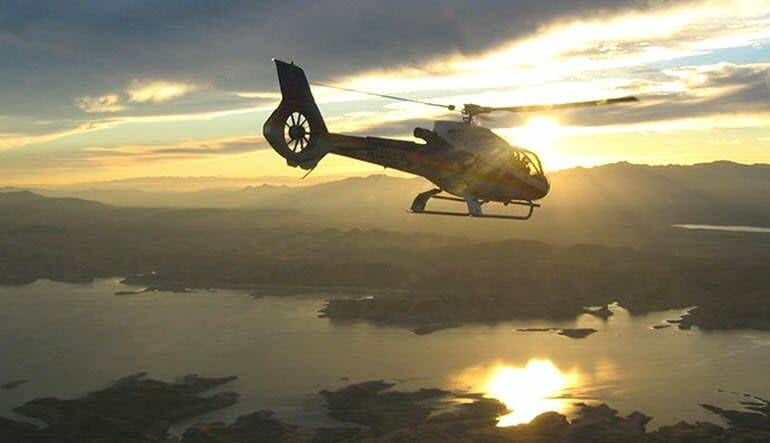 The flight route takes you over Hoover Dam, Lake Mead, extinct volcanoes, the Colorado River, and the scenic beauty of the Mojave Desert. The best part? 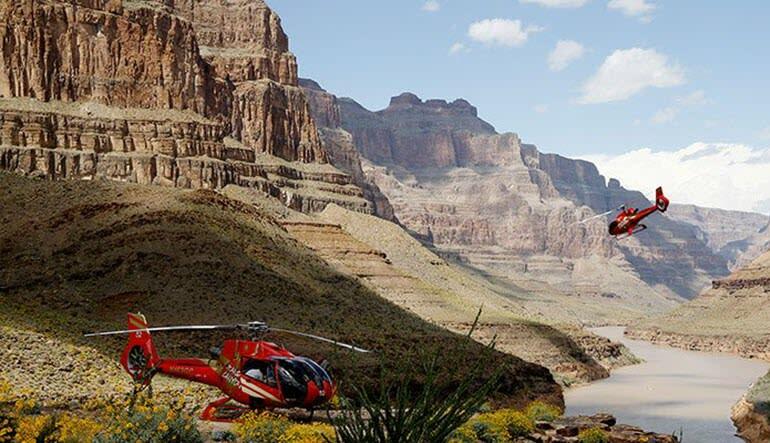 The exclusive landing 4,000ft below the rim where you’ll enjoy Champagne with a light meal.